At Grand Army Plaza, beneath the golden equestrian statue of General Sherman, the horses stand, lazily flicking their ears, tasting the grit of 59th street and occasionally glancing about as a yellow taxi driven by an angry Pakistani wheels around past the Plaza Hotel, brakes squealing, an Al Qaeda friendly Nasheed or a little Atif Aslam, either sounding more unpleasant than the brakes, blaring through the open window. Feathered plumes, scarlet red, sapphire blue, electric purple, matching the colors of the plush linings of their carriages, stir faintly in the wind coming off the East River. The drivers, wearing black top hats and colorful suits, chat with each other or text, waiting for a tourist from Baltimore or Beijing to take a ride. The horses stir, shaking their heads, as the Chinese artists sketch caricatures for 5 bucks a piece and the African vendors lugging sacks of fake Rolexes or pirated Fendi handbags look around suspiciously for the cops. Most of the day the horses stand, stamping their feet, eating, dozing off in the heart of a city that never sleeps, and then when a tourist couple, a husband and wife from Seattle, a mother and daughter from London, finally comes along, they lazily trot along the curving carriageways of Central Park, while the driver points out the statue of the Irish poet Thomas Moore or the bronze statue of the Falconer with its new falcon (the old one was stolen) and then back to the curb for a bag of mash. 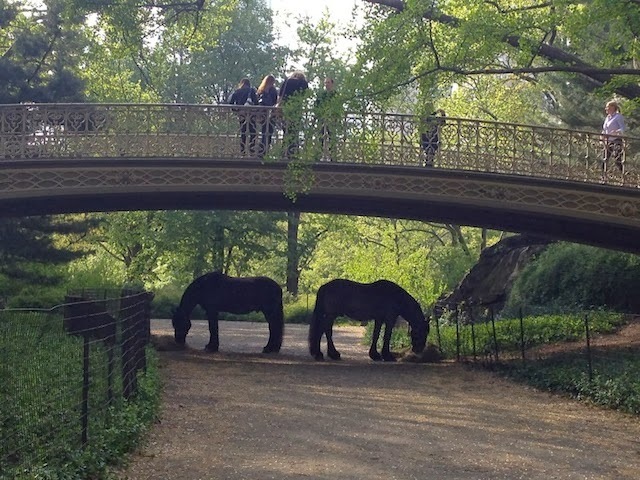 Like true New Yorkers, the horses of Central Park pay little attention to what is going on around them. Instead no matter what happens, they yawn, showing their teeth and showing how little it moves them. But though the bored urban equines do not know it, their world is about to change. The horse is not ordinarily an endangered animal, but if New York's new progressive mayor has his way, the horses of Central Park will be extinct and the only equine in sight will be General Sherman's golden horse sneering down at the parvenu jewelry shoppers of Fifth Avenue. On the other side of 59th, at Columbus Circle, beneath the looming tower of Time Warner Center where CNN personalities chatter endlessly about the weather and the economy, pedicabs offer rides for three dollars a minute. One enterprising competitor has even cut his fare down to a measly two dollars. The pedicab is slicker and glossier than its origins in the old Chinese rickshaws, but it is still a human powered vehicle. The drivers, mainly Nigerians, who have taken over much of the tourist trade in the city, with a mixture of other Africans and the occasional Eastern European, chatter loudly, hassling tourists and urgently calling them over. "Hey guy." "Madam, madam, come here." 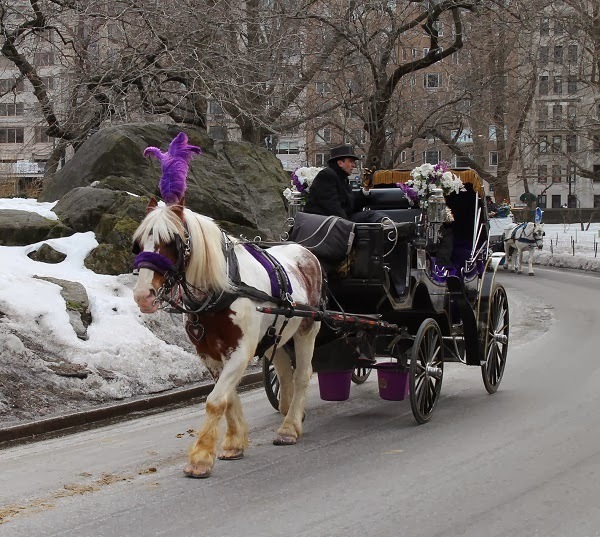 Unlike the horses of Grand Army Plaza, there are no proposals to ban the pedicabs of Columbus Circle. The only animal they exploit is the human animal, and often it is uncertain who is exploiting whom. Turkish pedicab driver Savas Avci was caught ripping off tourists by offering them a $1 a block ride with a $100 per person minimum written in fine print on the card. Surprised Irish and Asian visitors completed a 10 block ride and were hit with a $400 bill. The pedicab scam wasn't illegal, but it was typical of a new tourist trade dominated by foreign scam artists, who unlike the carriage horse drivers, have no roots in the city and no sense of tradition. Meanwhile a twenty minute horse carriage ride, complete with warm blankets and cocoa, runs to fifty bucks. Though the horses huffing clouds of warm breath into the cold air of a March morning may not know it, they have long been the targets of an urban predator that their instincts, wired for warning them of cougars and rattlesnakes, had not prepared them to detect. While the horses grew complacent in a city whose predator food chain culminates in the rare coyote that crosses the George Washington Bridge from New Jersey, they were being stalked by the city’s true predator. Homo progressivus is a nasty specimen, biologically indistinguishable from Homo sapiens; but possessed of a radically different set of instincts and motivations. Like the Great Horned Owl and the Brown Rat, Homo progressivus hunts his own kind, his hunting call is a noisy whine emitted through a megaphone at a protest rally and he marks his kills with regulations. The horses of Central Park have long been the chosen prey of Homo progressivus. In 2011, Glee star Lea Michelle warned Bloomberg that she would leave the city unless he banned carriage horses. Unlike salt and large sodas, the horses stayed and the Glee actress was forced to go on enduring the unflattering equine comparisons to her nose and teeth. 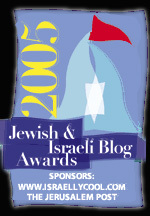 But when Bloomberg stepped down, PETA, an animal rights organization that killed 2,000 cats and dogs in one year alone, and NYCLASS, a wealthy anti-horse group dominated by Steve Nislick, a real estate tycoon who appears more interested in seizing the stables where the horses live, than in their welfare, finally got their way. Nislick and NYCLASS' investment in Bill de Blasio navigated the Sandinista supporter through the Democratic primary and into City Hall. Bill de Blasio, who had picked fights with such New York traditions as the Columbus Day Parade and the St. Patrick's Day Parade, vowed to get rid of the horses in his first week in office. The week passed and the horses stayed. Bill de Blasio and the new progressive City Council speaker Melissa Mark-Viverito both glutted themselves on NYCLASS' dirty money and committed themselves to doing Steve Nislick's dirty work, but in between kicking black kids out of charter schools and paying back neighborhoods that voted Republican by seeing to it that they didn't get plowed, the progressive politicians have yet to land the killing blow on the horses of Central Park. New York City may be slow to deliver on a shipment of dead horses, but Chicago is moving faster. Alderman Ed Burke, an Obama and Blagojevich ally, and the godfather of Chicago politics, dubbed its real mayor, whose campaign war chest is bigger than that of the actual mayor even though he runs mostly unopposed, has put a hit out on the horses of Chicago. Burke, whose wife is an Illinois Supreme Court Justice, who is notorious for his corruption and goes everywhere with a team of bodyguards, announced that he wants to ban horses in order to "beat New York to the punch." Chicago has the worst credit rating of any major city except Detroit and its murder rate is sky high, but Burke has declared that the horses are now a priority. The aging relic of the Chicago political machine called carriage horses an "obsolete tradition" and said that, "Carriage rides have outlived their usefulness in Chicago." That is usually Democratic machine politician slang for not enough money changing hands. Animal rights activists and their real estate backers tend to have more money than horse carriage drivers. The modest stable buildings are no match for the liberal real estate developers who want to put up pricey hotels where they stand and progressive animal rights activists easily overwhelm drivers who may get only eight fares a day. The anti-horse activists of Homo progressivus spent $1.3 million on Bill de Blasio. The drivers bring their own coffee with them in a thermos because a Starbucks coffee is too pricy for their budgets. Bill de Blasio and Steve Nislick have refused to actually visit the stables where the horses are kept. The money has changed hands and their minds have been made up. They have no desire to be confronted with the anger and suffering of the working men whose jobs they are taking away. "We are in the biggest, densest urban area in North America. It is not a place for horses. 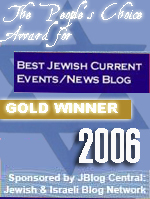 They are not meant to be in traffic jams," Bill de Blasio said at Steve Nislick's NYCLASS press conference. But Central Park, where the horses actually trot, was designed for horses. The cars came later. Manhattan streets run on a straight and narrow grid, up and down, by number and letter, but Central Park is full of curving lanes built more for horses than cars. Near the reservoir where thousands of waterbirds winter, riders pass under the arching fairy tale white lace of the Gothic Bridge along a dirt path. Puffins dive in the reservoir, herons land in secluded watercourses, turtles sun themselves on rocks near hidden waterfalls and raccoons prowl through the bushes. Unlike the noisy and cramped urban hunting grounds of Homo progressivus, where activists shriek through megaphones, council members pass regulations that no one needs and inspectors take bribes not to implement them, where blighted towers of housing projects rise above troubled streets and Bill de Blasio and Andrew Cuomo yell at each at dueling press conferences; the park is a natural environment. It is a place for animals and people, for tall trees and quiet paths. "It is one of the great purposes of the Park to supply to the hundreds of thousands of tired workers, who have no opportunity to spend their summers in the country, a specimen of God’s handiwork that shall be to them," Frederick Law Olmsted, the Republican architect of the park, said. The old progressives saw a human virtue in nature. The new progressives however see humanity as a blot on nature. PETA kills cats and dogs, as many as it can get its hands on, because its interpretation of animal rights demands that it remove the taint of human bred and owned species from the environment. The anti-horse campaigns follow the same ideology. It is not the horses that they are concerned for. 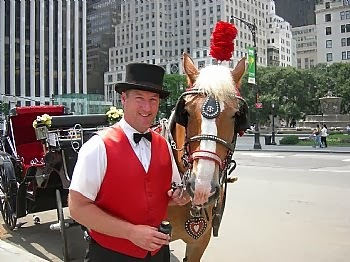 The carriage horses, like the cats and dogs, have been tainted by human exploitation. They must be destroyed. Homo progressivus does not merely hate white men, but all men and women. Targeting humanity by race, gender or class is his method of playing divide and conquer; pitting one group against another with the ultimate goal of tearing down civilization to restore the world as it was before man. Animal rights have come to follow this terrible post-human progressive imperative. The left's war on horses is part of its war on humans. A horse infected with rabies, as described by William Youatt, the noted English 19th century veterinary surgeon, "will furiously seize and bite other horses, and even his attendants... will level with the ground every thing before him, himself sweating and snorting, and foaming amidst the ruins." Much the same thing happens with a Homo sapiens infected with a mental virus that transforms him into Homo progressivus, even while he insists that he is making the world a better place, he lashes out, foaming at the mouth, and destroying everything around him. At Grand Army Plaza, the horses stand waiting for their next trot through the park, occasionally glancing at the tourists who come too close, but while the cougar is easily distinguishable from the cat and the wolf from the dog, both horses and men find it difficult to look into the milling crowds and distinguish Homo Sapiens from Homo Progressivus. So, they are replacing the horses with minority run enterprise. This is the first I head of that. As for the horses, I am unsure what the merits are of having horses in a downtown area. But really, if they are interested in the general welfare they should keep them around. Just being being around they add to the ambiance of the city. Kind of like the street cars in San Francisco. Hell, even way out here in the sticks I do not want to see them go. Even if there were no more horses in NYC, there are plenty of horses asses in NYC govt. Akin to Anon's equine anatomical note, I was thinking that these rabid human-horses, destroying all around them, are merely horses (or the rear ends thereof) of another color --- primarily the green of money. Must have been a slow news day. The point of this piece was perfectly covered within the space of two paragraphs. Corrupt city officials making money for financial backers. Yep, seen that before. Another arrow straight at the target,Daniel.That is what is hidden behind the "liberal compassion":an ugly misanthropy.Not even the radical tories of the 19th century could do better than our moral "superiors". DiBlasio is a typical progressive; someone who entered politics to become Somebody, not to Do Something, at least, nothing helpful. I'm 64 years old. I guess I expected people to learn from the past. To my surprise, most don't. I hadn't expected to see the same old battles fought all over again several generations later. I guess this is an eternal cycle.